This dessert is for anyone that enjoys coconuts and it tastes fabulous. It also goes along great with some tea. 1.) 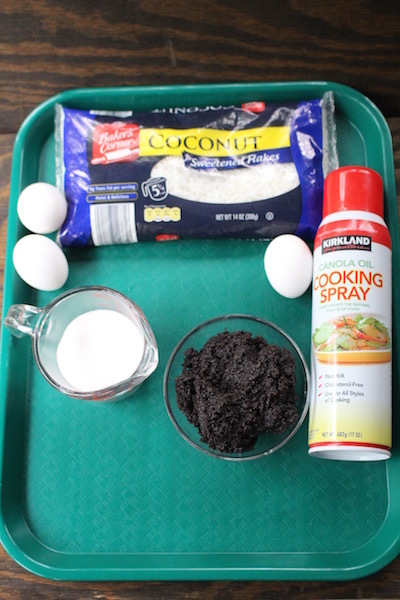 In a large bowl add your eggs, coconut flakes, sugar and mix well. 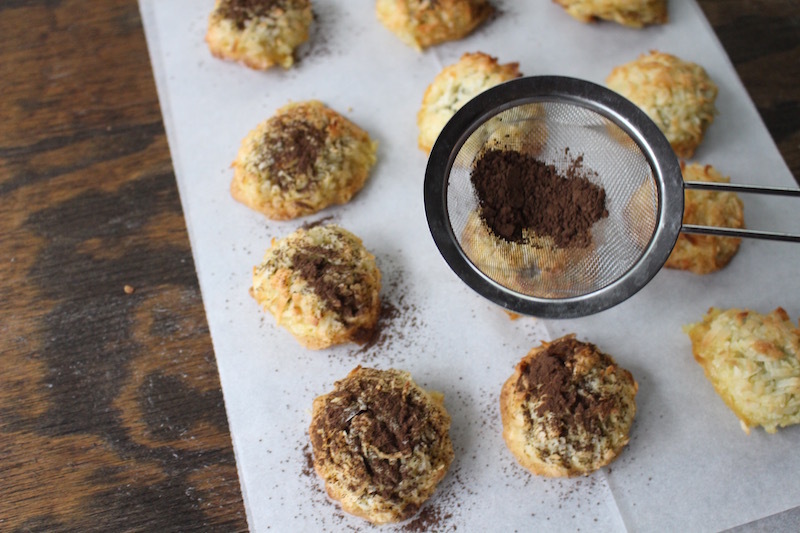 Using your hand create a circle out of the mixture with poppy seeds inside. 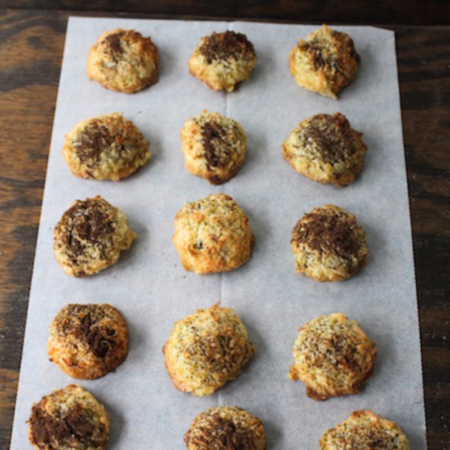 Place all of your coconut balls on parchment paper and a baking pan. Bake for 30 minutes on 350ºF. 2.) Once they are done baking and cooled off sprinkle some cocoa powder on the top. This dessert is for anyone that enjoys coconuts and it tastes fabulous. In a large bowl add your eggs, coconut flakes, sugar and mix well. 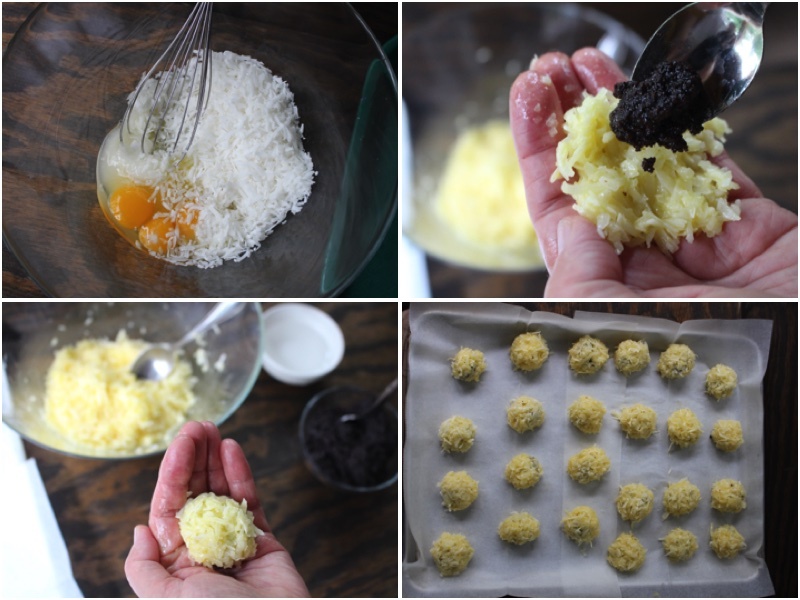 Using your hand create a circle out of the mixture with poppy seeds inside. 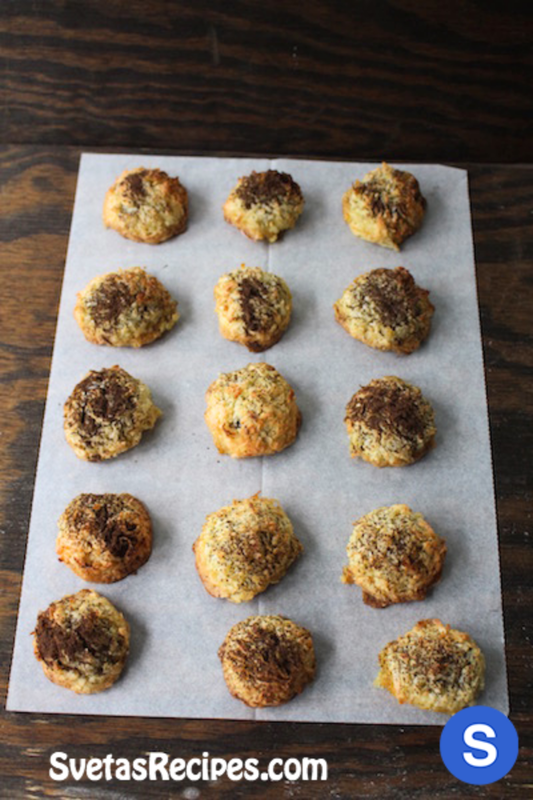 Place all of your coconut balls on parchment paper and a baking pan. Bake for 30 minutes on 350ºF. Once they are done baking and cooled off sprinkle some cocoa powder on the top.